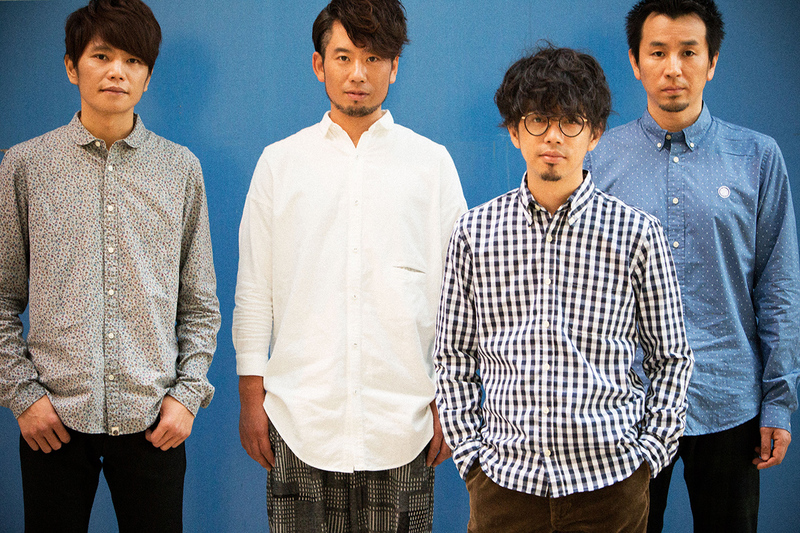 Asian Kung-Fu Generation was formed in 1996 by three members of the Kanto Gakuin University music circle: Masafumi Gotou (vocals and guitar), Takahiro Yamada (bass and vocals) and Kensuke Kita (guitar and vocals). Shortly after the trio got together they found a drummer, Ijichi Kiyoshi from the same music circle who, unlike the others, had prior experience playing in a band. The band played small venues for four years, building up experience, which led to the release of their first EP, a mini album comprised of covers of English songs, in 2000. It was only sold online and at concerts. In the following year, they began sending their first Japanese song, Konayuki, to radio stations. It was eventually picked up by a popular DJ and played heavily due to listener demand. The popularity of Konayuki led to AKFG releasing a second album (their first in Japanese) and increasingly frequent performances in Tokyo. 2003 was their breakthrough year; Oricon chart success, festival appearances, and ties with a successful anime ensured their rise to fame. The band was signed by Ki/oon records at the end of 2002 and their first release on the label, Houkai Amplifier, ranked 1st on the High Line Record Sales and 35th on the Oricon Indies Charts. They followed this with appearances at two of Japan’s biggest music festivals, FUJI ROCK in Tokyo and Sonic Summer in Osaka, as well as a slew of Autumn releases including the single Kimi to iu hana and their first full album, Kimi tsunagi Five M. With their growing fame fans began referring to the band by nicknames such as Ajikan and AKFG. As a further boost, Haruka Kanata became the opening theme for the super-popular anime Naruto, enabling Ajikan to reach an even wider audience. This success continued into 2004 as the band was named Best New Artist at the Space Shower Music Video Awards; they also won Best Music Video for Kimi to Iu Hana. Throughout the year Asian Kung-Fu Generation released some of their best known singles: Loop & Loop, Rewrite (used as the fourth opening theme for Full Metal Alchemist), Siren and Kimi no Machi Made. The latter had one of the strangest videos of 2004, featuring synchronized swimmers being pursued by giant lobsters. 2004 also saw the beginning of the AKFG-organised Nano-Mugen Festivals. These one-day festivals showcased eight indie rock bands with Asian Kung-Fu Generation headlining. They wrapped up this busy year with the release of Sol Fa, which reached number one on the Oricon Majors Chart and sold in excess of 500,000 copies. By 2005 they were playing sold out venues on their Re:Re tour and their releases stayed in the Oricon charts for months on end; the 2006 album, Fanclub, took two months to drop out of the Oricon top 5 and World Apart became their first number one single. Ajikan had entered public mentality as one of the biggest bands in Japan. They were even parodied in a volume of the Hellsing manga as members of the Vatican.